Keeping turkeys in the back garden, growing them on for Christmas, has become quite popular since a number of TV chefs did it. Before jumping into turkeys, do be sure you can do the evil deed when it comes to it and that the children will be OK eating what may have become a pet. 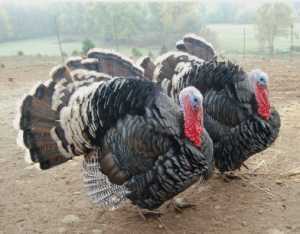 We've got 107 turkey breeders and suppliers listed. Just follow the county links below to find nearby egg suppliers.